As expected the US Congress blocked the Pakistani proposal of possible sale of modern F 16 Blk 52 Fighter jets, associated equipment's and missile systems. The Democratic American government agreed the Pakistani proposal of foreign military sales program to sell the F 16 C/D to Pakistan, However the congress who dominated by Republicans blocked the government proposal. There is one more way to deliver those fighter jets to Pakistan, that's The democratic president use his VETO power to bypass the Congress decision. Obama used his VETO power many times which makes many questions about Obama's over action bypassing the Congress decisions. The Republicans are mostly pro Indian and continuously slammed US friendly approach towards Pakistan. 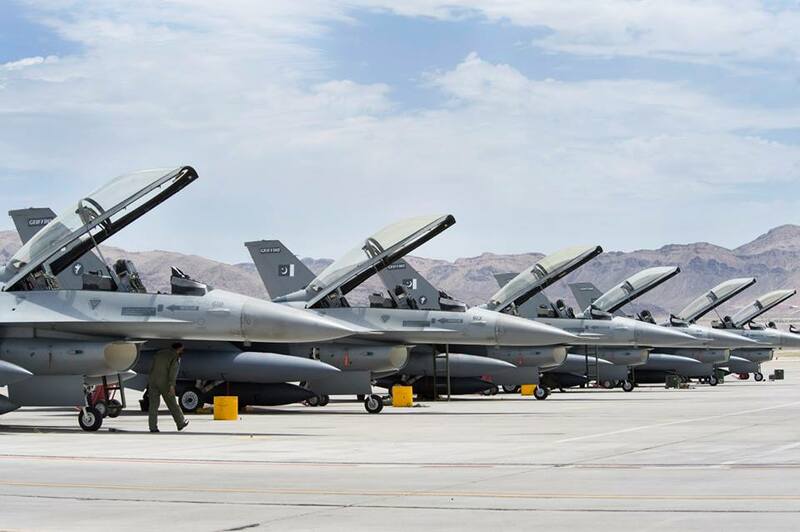 Pakistan approached US for possible sale of some eight Modern Blk 52 F 16 fighters, The Pakistani's overreacted by saying they will get the F 16 E/F or the Block 60 version, without knowing buying the F 16 Blk 60 needs UAE's approval, since most of the R&D spend on Block 60 is by UAE. However this time as a surprise, A Democratic senator, who pushed the stall button when the congress discussed about the possible sale of F 16 to Pakistan. The deal further blocked by majority of Republican senators. There were very few or zero American senators defended the Proposed deal. The Pathankot attack also the major reason behind the block, since the US intelligence already alerted the Indians about possible terror attack close to India Pakistan border. US always pushed the Indians to continue peace talks with Pakistan. However Pakistan didn't interested in peace talks but interested in sponsoring terrorists to carry out attacks against India. One of the senior defense analyst and Ex CIA Bruce Riedel working under Brookings Institute who funded by Washington, said that Pakistani intelligence agency helped the Terrorists and gives training to the terrorists to attack the key forward air base in India close to Pakistan. India already have many evidences about the Air force base attack, where Pakistan yet to react. The Congress members also concerned about the Earlier delivered F 16's too pose a serious threat against India, Pakistan might use those fighter jets against the America's emerging new friend in Asia the Indians. By arming Pakistan makes huge imbalance in south Asia and destabilize the relationship between India and America. US Congress also warned that, the Pakistani's who continuously supporting the terrorists organizations who acting against India and Afghanistan also assisting other terrorist groups who planting attacks over Europe and America. Senators also concerned about US continuously supporting Pakistan to attack terrorists, rather than attacking the Pakistani's are helping the terrorists. US Congress members also informed about American made Night Vision devices supplied to Pakistan found in Gurdaspur attack, Which is currently being investigated by FBI. This worries Pakistan is not a trusted ally, He is the Back stabber. A senate member told. The Congress also discussed about the Financial support to Pakistan, Which will be discussed with designated officers and Think tanks before making decision, US Congress informed to the Public. What a sh!tty piece of journalism is this. I mean you indians should be blushfully ashamed of fabricating stories and lies against Pakistan for your little wetdreams. But hey, that's your page so you can put your little hateful thoughts you dream in bed always online. Great. Let me tell you something then. First off, this news has ONLY been floated by indian news sources. Neither has US gov, nor any other neutral country or source has reported this. We understand the indian whining and wishes to stop sales to Pakistan but fact of the matter is there has been no denial thus far by any american source. Also, you seem to have very little or no knowledge of block 60 when it comes to F-16. Either you are lying about it or you have simply no idea what you wrote. this can happen when amateurs do defence stories. here is your little education. Block 60 is officially funded by UAE, so any country buys block 60, it will pay royalties to UAE. 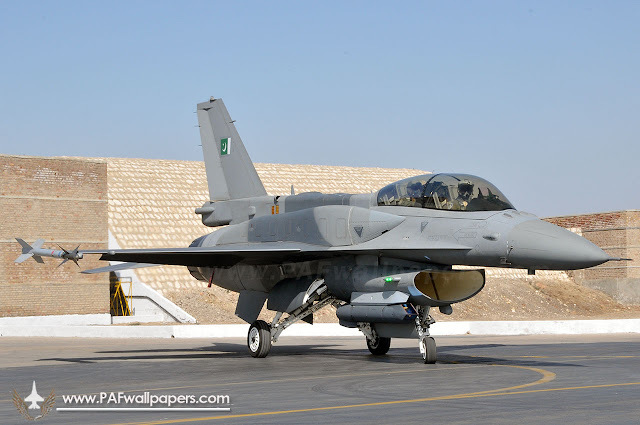 Considering UAE pak relations, it is almost impossible UAE would veto this deal but more importantly, you seem to have no idea that lockheed martin is also developing a block 61 F-16 which has an even upgraded AESA radar and more tech which UAW has nothing to do with. Successful flight were made last month. If pakistan goes for more f-16s they will be block 61, which UAE will not even have right to object to. There, i have exploded your bubble. On your fabrication on pathankot and 26/11, it is a known fact that these were indian false flag ops, evidence of which were garbaged by CIA and americans. The only luck india is pulling in US is that it has israeli lobby backing as well as local indians which proves that no matter what nationality indians take, it is in their genes to hate and damage pakistan. Pakistan couldnt care less of this pathankot drama, you can cry all you want. what matters is both india and pak know india wouldnt dare attack pakistan based on these lies. you quoted bruce riedel, i quote you chuck hagel, christine fair and more americans who are on record of showing indians terrorism in pakistan, not to mention indian own officials accepting it. last, get this right in your head. F-16 is a flag ship program of pak-us relationship. a death of this program effectively means a drawdown on US pak defence cooperation. As long as US is in afghanistan and needs pakistan, and it does, F-16s will keep coming. if you indians think you can get rafales from france or more, know that pakistan will ALWAYS counter your moves. I can tell you now. F-16s will come to pakistan, simply because for most part, pakistan does not even deal with politicians directly. pentagon will make it possible themself garbaging all indian lobbying when required.